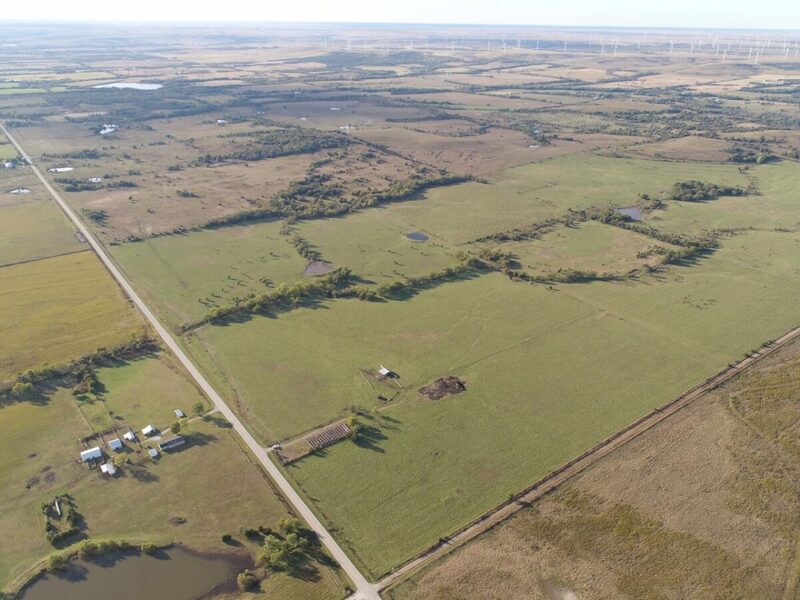 PROPERTY DESCRIPTION: 707.5+- acres of diverse Elk County Kansas ranch land. On the agriculture side, there is a good combination of brome/fescue mix and native bluestem pasture. 11 ponds provide water in addition to 2 rural water meters and automatic freeze proof waterers. Current owner has utilized the property for winter livestock grazing. Fences range from new to average through the property. There are multiple grazing units that would allow for year round rotational grazing. A rotational grazing program would allow you to take advantage of the cool season grasses for hay, early, and late grazing, with the native pasture utilized for summer grazing. There is a building and panels at the south end of the property along HWY 160, and a feeding station at the north end of the property off of Road 8. LAND LOCATION: 4 Miles West of Moline Ks on HWY 160 OR 3 Miles East of Grenola Ks on HWY 160. LEGAL DESCRIPTION: The East Half and the Southwest Quarter of Section 11; The Southwest Quarter and the South Half of the Southeast Quarter of Section 2, ALL IN Township 31 South, Range 9 East of the 6th PM, Elk County, Kansas.